As the title states in this article we will have a look on how to call methods on objects we have got in WMI. 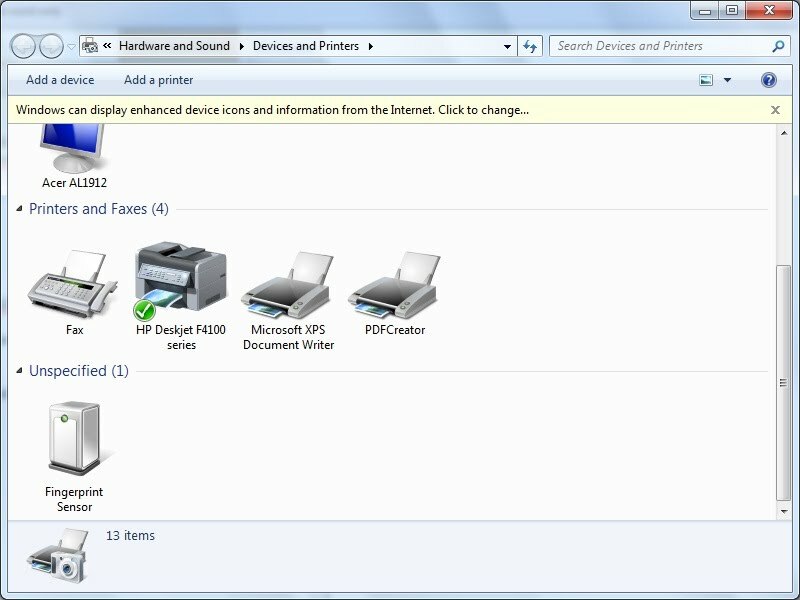 In the example source code we will stick on printers and call the SetDefaultPrinter method on an instance of a printer. Functions can be called as static functions or they can be called on an object. For the function mentioned above it may be pretty clear that we need to call it as part of an object (which actually indicates the printer to be the default one). We will start with a part of the code presented in the last part of the WMI articles (See here). This actually just initializes WMI and connects to the CIMV2 namespace. Now we have an enumerator for the printers which are named "HP Deskjet F4100 Series" (case insensitive). Even if there is only one printer matching the criteria you will still get enumerator to enumerate all of them (which is only one...). The next step we could do is actually not necessary for that particular function. When we call GetMethod in a IWbemClassObject we can query information about a method. This includes parameters that are used by the function as input and parameters that are output by the function. The second one (output) is pretty useless if you will call the function because the call actually will also return an IWbemClassObject containing all the output parameters of the function. The input parameter object is actually also not really useful because if you call a function you actually already know what input parameters it expects. Thats why the GetMethod method is actually more for informative purpose if you dont plan to call the function afterwards. In our case its even worse, we dont have any Input or Output parameters so we dont need that at all. So we can start enumerating the objects right on. Every instance of a certain object (in our case Win32_Printer) becomes it unique path. Also objects themselves have paths. A path for an instance of that object could be: \\ADMIN-PC\root\CIMV2:Win32_Printer.DeviceID="HP Deskjet F4100 series"
Next we want to extract the returned value if the function has succeeded. As i mentioned above this value is stored in the property "ReturnValue". So we query that property from the returned result object. Thats it! We have called the function and got its return value. All left now is releasing everything we dont need anymore and exit the program. I hope you have learned how methods are called and when you run the above code you will see that your printer is now the default one! One question please, what the ReturnValue indicates? I have got vtRet.intVal = 70.